We develop and market highly functional, top quality outdoor products worldwide.Our brand enjoys an excellent reputation with customers. We enjoy our work. This is what motivates and drives us. 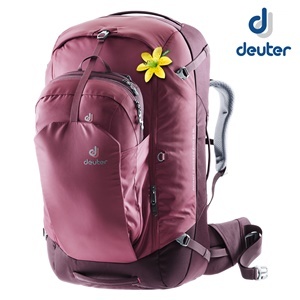 With our authentic passion we can inspire our customers and convince them of Deuter products. Outdoor sports is at the heart of Deuter. Our products are engineered to perform in the outdoors. Every one at Deuter takes personal responsibility to protecting the environment and to preserving nature for generations to come. Deuter strives for long-term success. We do not believe in short term profit maxi- mization. The fusion of economy, ecology and social commitment is the foundation for a safe future at Deuter. Safety is important. This includes a safe job as well as safe wages. We can guarantee this thanks to the company‘s high reputation as well as our sustainable corporate approach, which is the core of the company.